For 25 years the community of Mount Morris Park has been opening our doors and inviting New Yorkers from across the island and around the world into our homes. And we are happy to continue this tradition. Join us in celebrating our Silver Anniversary, Opening Our Doors for 25 Years! This year’s tour around the Mount Morris Park section of Harlem will feature homes and faith-based institution, and we’re working on some special ideas for our local businesses as well. Sunday, June 8, 11 AM-4 PM. Come join us for this very special event! 11 AM to 4 PM: Follow the Self-Guided Tour of Homes at your leisure. Visit 10 venues including brownstone homes, live/work apartments and landmark churches. 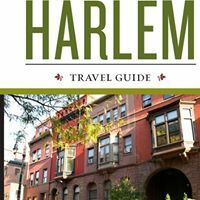 12 Noon and 2 PM: Go Inside & Intimate in Historic Harlem with acclaimed Harlem Historian, Michael Henry Adams. You’ll explore inside several extraordinary houses in the Mount Morris Park Historic District that are not on the regular tour. Group size is limited. This popular 1.5 hour guided tour requires a separate ticket which may be purchased in advance or, if space is available, at the Tour Start. Throughout the day: Enjoy live music at Mount Morris Ascension Church and other locations along Lenox Avenue. Reserve tickets in advance..and save! Volunteer to be a Greeter. We need 70 friendly volunteers to serve as Greeters in the homes on the day of the House Tour. Our events are successful because of our volunteers. Volunteers help us present ourselves at our best to outside guests and neighbors alike. In exchange for serving a 3-hour shift, you’ll get a free Tour ticket and a souvenir T-shirt. Contact our Volunteer Wranglers and sign up today.